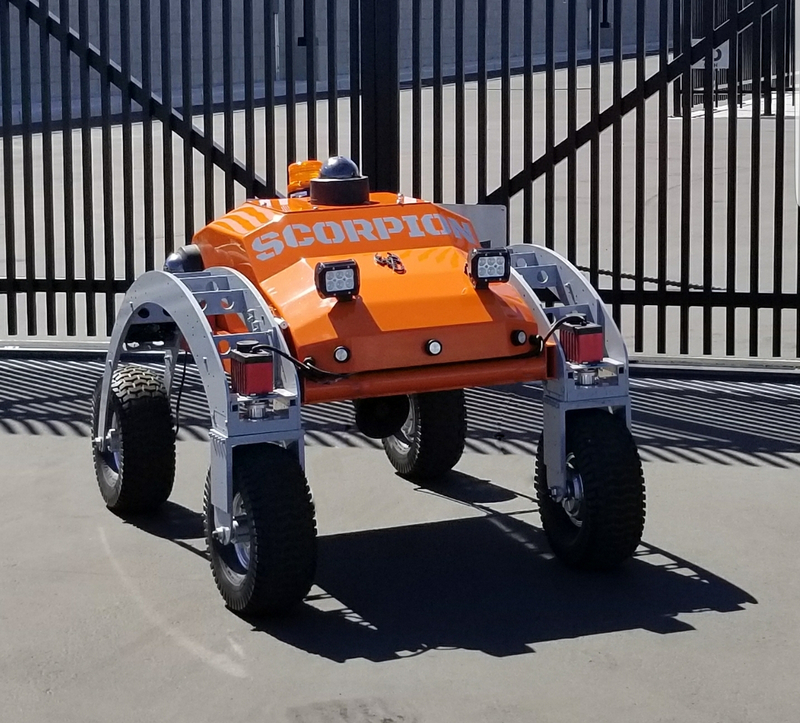 SAN DIEGO, CA--(Marketwired - September 19, 2017) - San Diego-based NXT Robotics has introduced Scorpion 2, a rugged all-terrain and all-weather outdoor security robot designed to provide organizations with round-the-clock physical security monitoring and reporting capabilities. The first version of Scorpion was rolled out earlier this year at West 2017 in San Diego. 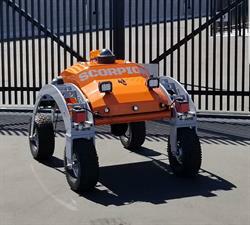 NXT Robotics, known for its advanced mobile security patrol platform, will be demonstrating Scorpion 2 later this month at ASIS 2017 in Dallas, Sept. 25-28. Scorpion 2, according to CTO/Founder Jeff Debrosse, is an autonomous security patrol that lowers costs while maximizing physical security surveillance capabilities. Scorpion 2 is designed for places such as military facilities, power plants, borders, parking structures, farms and ranches, and seaports. Scorpion 2, noted Debrosse, is easily controlled via a mobile client or web interface. The sentry function is performed via user-defined routes and schedules. Optionally, each Scorpion 2 can be automatically dispatched from NXT Robotics' INVISN™ 3D security appliance for maximum operational flexibility and convenience. CEO Darin Andersen added that Scorpion 2 supports indoor, outdoor, day or night security operations. "With intelligent on-board analytics, organizations' data remains within their premise or data center yet the visual analytics and security awareness that they require are still available," he said. "And security managers can easily connect to the NXT cloud-based visual analytics platform for enhanced results such as hair, shirt/trouser colors, abandoned package detection, license plate recognition (white-listing and black-listing), aggressive behavior detection as well as foot and vehicle traffic patterns for anomalous behavior/pattern detection"
"Mobile robotics have a pivotal role in the security of our borders, military facilities, and even power plants," said Debrosse. "Scorpion 2 will soon become a popular choice for organizations that need to scale their operations while lowering costs and ensuring the consistency and quality of the results." "Our NXT operating system is AI-based, highly secure and resistant to cybersecurity attacks," noted Andersen. "The platform connects to NXT Robotics AppLocker™ which allows users to select from a number of NXT Robotics and third party built applications such as license plate readers and gun shot and chemical detection. Scorpion 2 also provides security awareness in areas that may be considered blind spots. And you can also receive alerts based on object recognition." 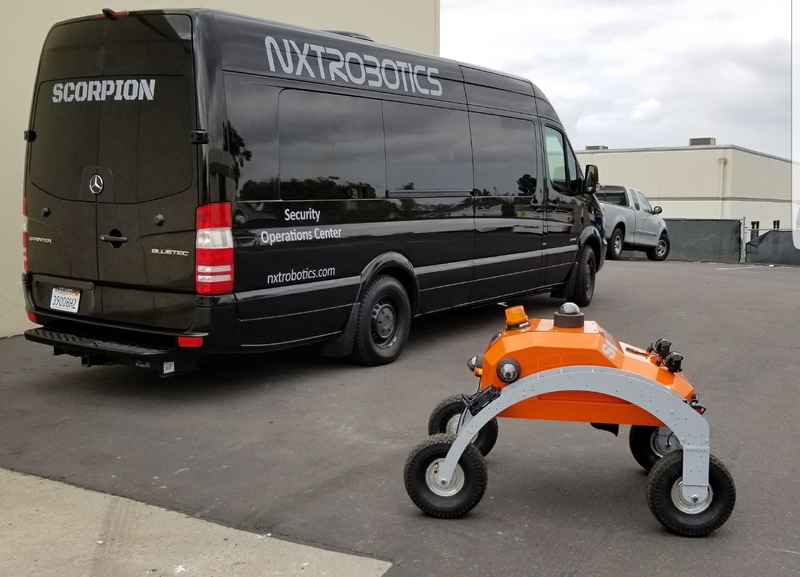 NXT Robotics is a San Diego-based company that provides service robots to support increased security monitoring and alerting requirements. The company's innovative autonomous platforms deliver security-related services to customers while meeting their performance and cost expectations for indoor and outdoor applications. NXT Robotics has also developed a new video analytic that detects handguns in use with real-time streaming video feeds or with pre-recorded videos. This is a major advancement for the security world because it can also be thought of as an AI-based silent alarm that constantly watches for these events. 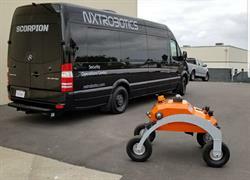 NXT Robotics has already raised $1 million and is looking to raise an additional $4 million. Scorpion 2 is hitting the road and will be on display at ASIS 2017 in Dallas, Sept. 25-28. 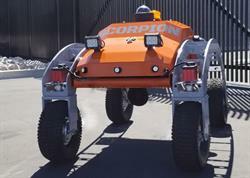 Scorpion 2 not only lowers costs but maximizes physical security surveillance capabilities. Rugged and multi-terrain options make Scorpion 2 perfect for year-round usage.